The Ansa Butterfly Sleeve Dress was the second pattern I tested from the new Playground Collection by Named. This is a lovely design with and interesting front yoke and pleats to create soft shaping at the waist. 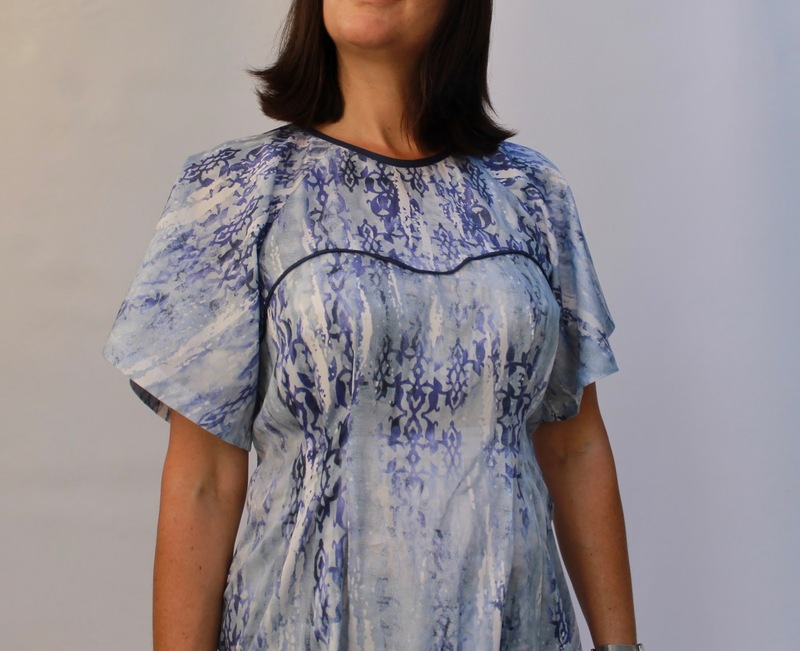 The pattern also includes a top with the same yoke and sleeve design and a loose, flowing shape. I made the dress from some very lightweight cotton that I think came from Potter Textiles. The dress isn't lined so this fabric is possibly the tiniest bit lightweight for the pattern. However, with the loose sleeves and gently fitted design, it's very comfortable and cool to wear in our hot weather. When making this I used 126cm of 140cm wide fabric (pattern states 135cm of 150cm wide). I used navy bias binding to highlight the shaped seam above the bust and the neckline. The back closes with an invisible zip and fits really well thanks to the long darts. 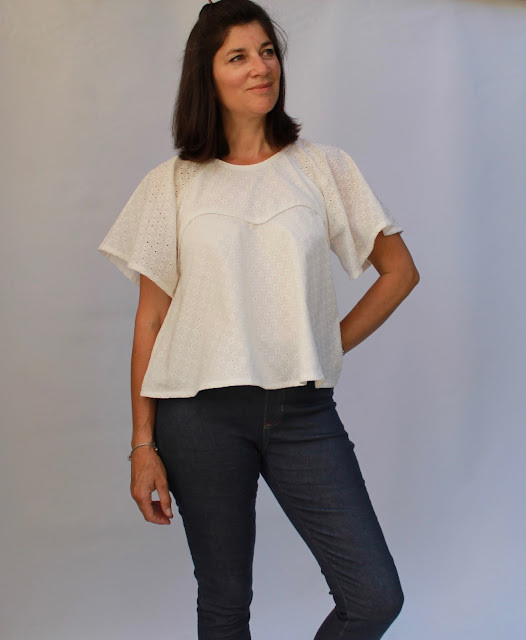 The Ansa top has no zip and just pulls on over the head. 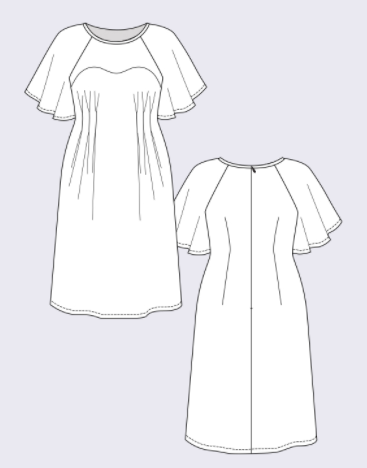 I chose white cotton Broderie Anglaise fabric and underlined all but the sleeves with white voile. I used white piping at the front and back yoke seams. For this I used 120cm of 140cm wide fabric (pattern states 135cm of 150cm wide). I really like this top and have worn it quite a few times. 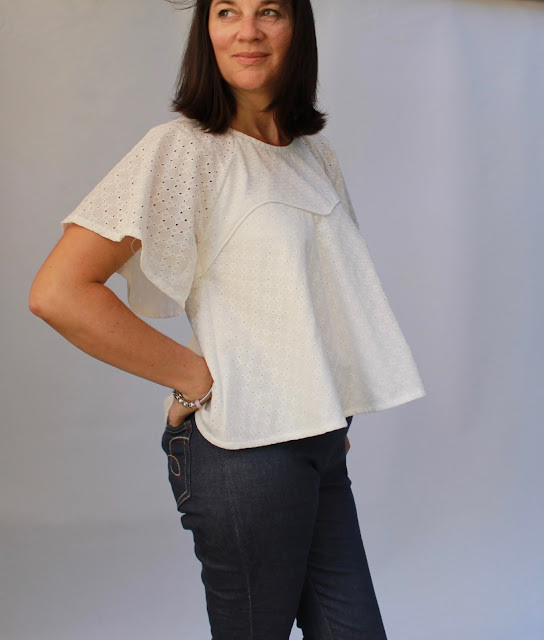 It is perfect for looking a bit dressed up, but still casual and summery. I would like to make this from drapier fabric to see how it looks. I made no changes to the original patterns for the dress and top, other than adding piping to the back yoke seam of the top. 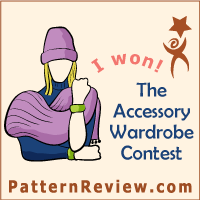 I love both these patterns and they fit perfectly into my casual summer lifestyle. Did I misread that the dress and the top seem to take the same amount of fabric? Whatever, these are gorgeous makes, and ever since I saw your top I want to make one with some broderie anglaise from my stash (but I shall resist ;)). I shall be making one of these for next summer thereby maintaining my always slightly out of date look! Very flattering. That piping really takes it up a notch. Nicely done - again. These are so cute. Very feminine styles. Love them both on you. Both are beautiful, I love the shoulder cut. I've made the dress and been planning the top. I'll definitely steal your back piping idea, charming. Both are very nice! This is the pattern I like the most from the latest collection! I think these fashions are suitable for the age of 50. That is a very interesting thing for me.